John Russell Lamkin, III (drums)is a native of Baltimore Maryland. He began playing drums at the tender age of four. John attended The Manhattan School of Music in New York City and later, Berklee College of Music in Boston, Massachusetts. 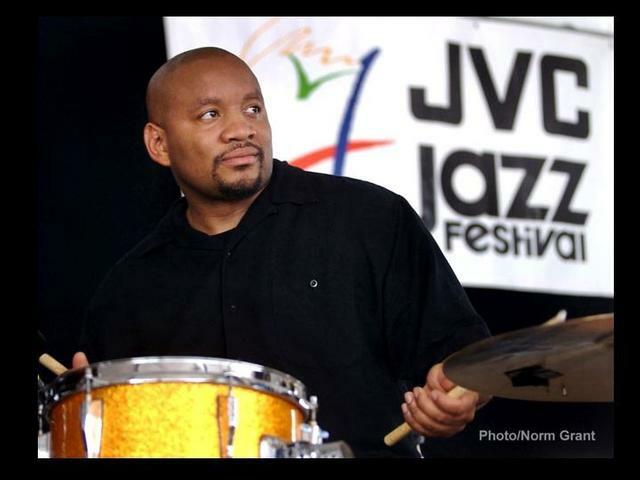 John has been recognized by, toured, played and recorded with a number of exceptionally talented recording artists including Donald Harrison, Najee, Michael Henderson, Kenny Garrett, Christian Scott, Warren Wolf, Chick Corea, Pharoah Sanders, the late great Lionel Hampton, the late great Abbey Lincoln, and many others. John maintains a deep respect and appreciation of those who’ve set standards in the music world.